The Cartwheel Collection is everything you’ll need to get you started for back to school sewing. 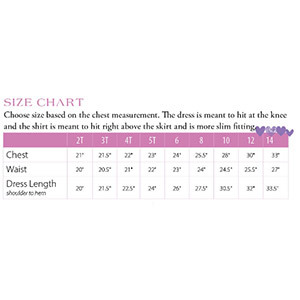 This collection contains six separate patterns meant for knit fabrics: shirt, dress, shorts, capris, tunic and skirt. 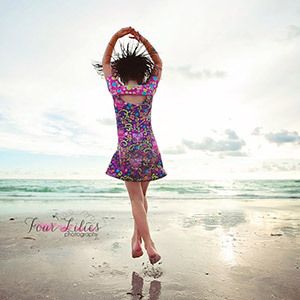 The shirt, tunic & dress have a sweet peek-a-boo back that’s just the right amount of fun. 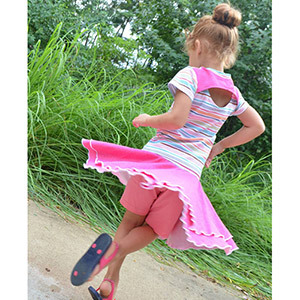 The double layer circle skirt has a pick-up detail to add even more fun as well as the ability to attach shorts or capris. Or just wear the shorts or capris with the tunic. So many possibilities! 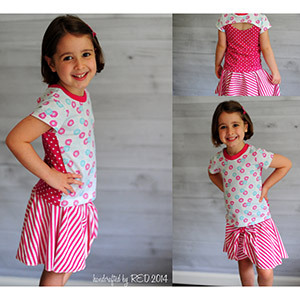 Mixing and matching the patterns will fill your daughter’s closet! SIX patterns in one!! Suggested fabrics are cotton lycra, cotton jersey,cotton ribbed, and ponte de roma.